February, the month of love, is drawing to a close and there’s great joy in our hearts knowing that we took part in the celebration and were able to spread the love. In February, people celebrate love all month long. Across the world, Valentine’s Day is celebrated on the 14th of February and we are no exception here in Bloemfontein. An abundance of love, romance, chocolates, flowers and cards showed the value and importance our City of Roses places on love. Thank you to all those who came to share the love, It’s always a pleasure. 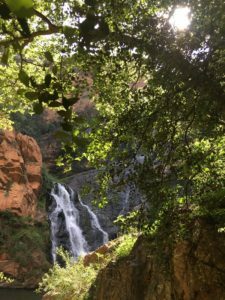 As the leaves turn shades of red and orange and yellow, the Free State winter months promise to be exciting and jam-packed. 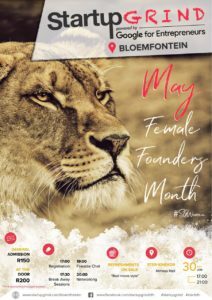 While some people are getting ready for the winter and others are planning a summer holiday abroad, I am putting everything aside to celebrate female entrepreneurs and business owners with Startup Grind Bloemfontein… and so should you! 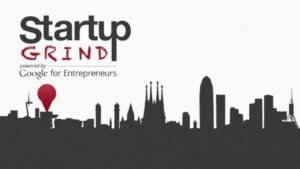 May month marks Female Founders’ Month for Startup Grind Chapters in over 350 cities in 100 countries across the globe. 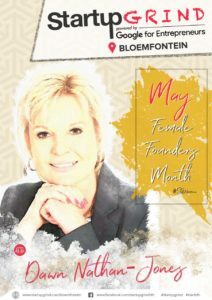 Startup Grind Bloemfontein will be hosting a number of local entrepreneurs and two guest speakers in a very unique way. The programme is loaded with valuable content and opportunities to network with like-minded entrepreneurs and aspiring entrepreneurs. 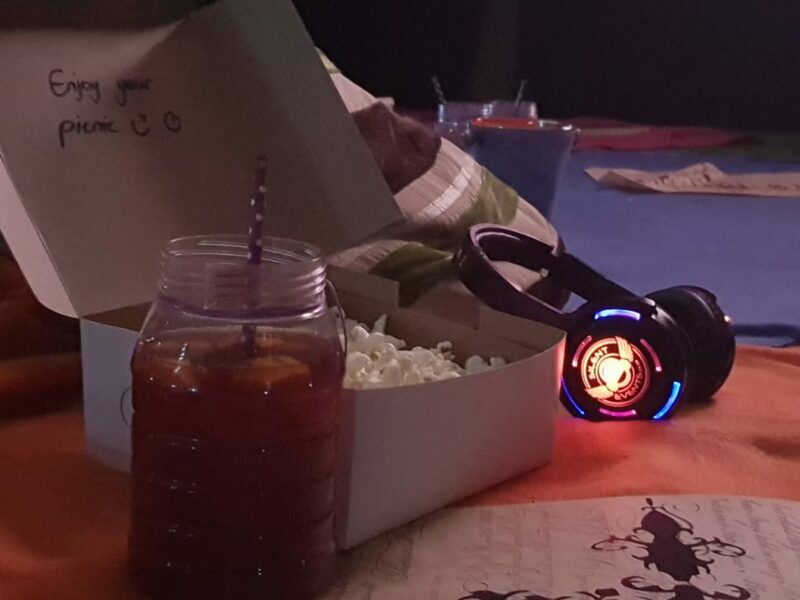 There will be coffee and popcorn for sale, and all guests will receive a goodie box. All members of the community are most welcome to attend; the young and old, male and female! And trust me, you don’t want to miss this. 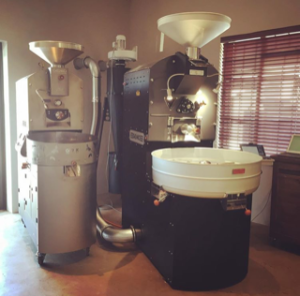 We’ve told you where in Bloem you can find the final product; now we are going to share with you the coffee-making process from an actual coffee maker’s perspective. We were fortunate enough to host German Zelayandia at Arista Guesthouse back in 2012. He is a Salvadoran engineer who visited Bloemfontein on business. He is part of a company called @GrupoConval, Salvadoran coffee production company and these are his insights. The history behind the company dates back as far as 1918, where one man and one woman united with a common interest in coffee production. From there onwards, generations of coffee growers acquired new coffee farms in better geographical areas, installed wet and dry mills and switched over rom generic to speciality coffee for exportation and to introduce tourism as a compliment to the sustainability of the coffee production. Fast forward to 2018 and the fourth generation of coffee growers has, amongst other things, broadened the exportation of speciality coffees and has introduced new varieties (geisha) and 3 members of the fifth generation are interested in joining in on the venture. The coffee farms Monte Verde and Los Cipreces are on the Ilanmatepec mountains. Both these farms produce mainly bourbon and pacas varieties. 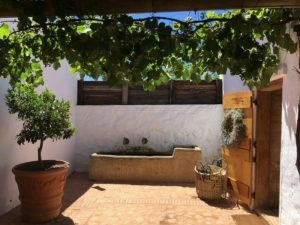 The harvest period spans from December to February each year and the area experiences sufficient temperatures and rainfall for optimal growth of a variety of trees. It all starts with cutting, sorting and weighing of cherries. Then, the coffee is transferred to the wet mill for pulping. It is then left to ferment for an average of eight hours before it is eventually taken to dry in the drying yards. 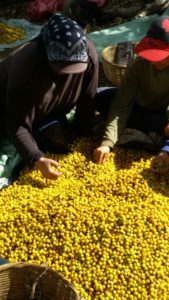 After about 6 to 8 days of drying in the sun, being moved and covered with plastic in the evenings, they proceed to gather the coffee in bags (by variety, batch, plank, characteristics, process etc.) and transport the bags to a horizontal drier for further drying. Finally, they are packed into new bags and stored in warehouses in separate consignments, depending on the case and wooden pallets. Conval Group is deeply rooted in family values and social responsibility. This is shown in the fact that the 5th generation of the same family is about to take over the company and in the fact that they take care not to waste water in their processes, respectively. 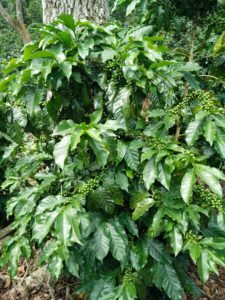 Coffee: the Why, What & When? You know the conversation has reached its expiry once you start talking about the weather… but in this case it is exactly where our conversation begins. Before we begin our “weather convo”, we would just like to mention: Over the years we have met some incredible people at Arista, who ( as the story has it) arrived as strangers and left as friends. Amongst them is a Salvadoran engineer, coffee connoisseur and simply a nice guy, German Zelayandia. Cool name, right? 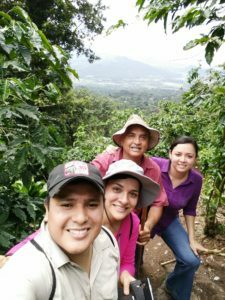 While working on a project in SA a few years back, he introduced the Arista team to his passion: coffee from El Salvador. Needless to say, it was love at first sight. 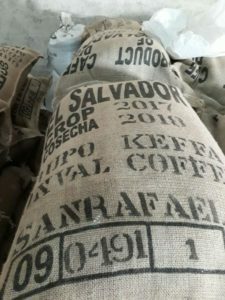 In our follow up post we will tell you more about Salvadorian coffee culture, the family who has been in business for almost 100 years and how to get hold of those beans in South Africa, #businessopportunity. 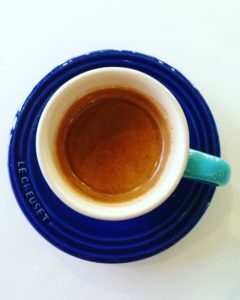 “From bean to cup, each coffee delivers different characteristics and flavour profiles; depending on the roast (light, medium, dark) and of course the espresso recipe used. 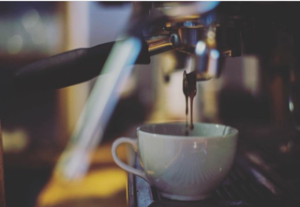 We strive to always serve a single origin coffee, which have originated from one specific country (Guatemala, Rwanda, Kenya) or a specific region e.g. Colombia Popayan. This enhances the quality and characteristics of each coffee and helps the customers realise that not all coffees taste the same. 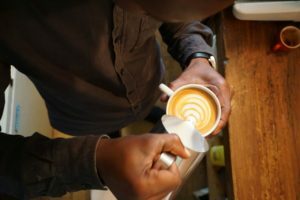 Our passion for single origin coffees is what helps us educate our customers and also the coffee culture of Bloemfontein! 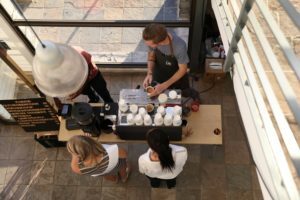 “Besides the science of coffee, I am mesmerised by the potential coffee possesses to bring people from all walks of life together. Work, social, any gathering is suitable for great coffee. 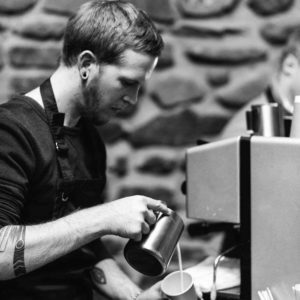 “The method I use to brew coffee determines the origin for me. There you have it, folks. 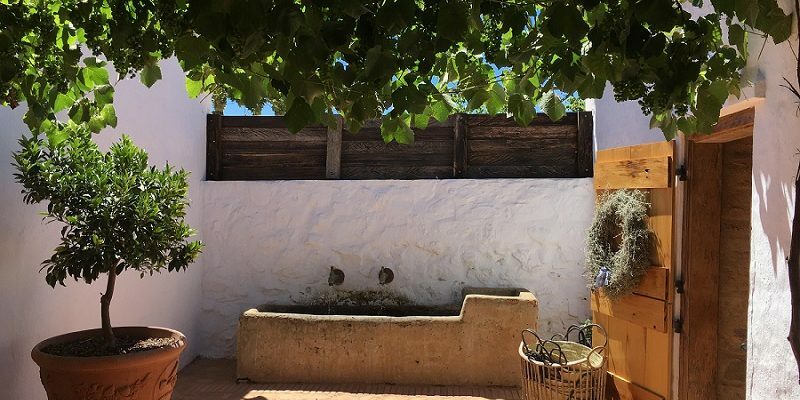 Whether you are in search of a hang-out, a place to have a business meeting or a little bit of warmth, these places are worth the visit. 2) Our questions were not as simple as they seemed after all. 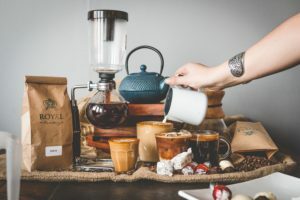 Coffee-making is a complex process with a plain and simple result: the taste of pure goodness -pure goodness that you are more than welcome to come and experience at Arista Guesthouse as well, by the way. Keep warm and enjoy a cup of coffee. PS all places are listed alphabetically & images are compliments of the respective roasters. Thank you! PPS for more info on the stores, visit their websites/Facebook & Instagram pages. The 2000’s is legal now. We’ll leave it to 2018 to tell us what exactly that means! Meanwhile, I took a three-month break from blogging and focussed on exams, spending time with family and friends and re-charging for the new year. I spent a few weeks in Cape Town over the festive season. As per usual, I had a grand time but I felt extremely guilty whenever I used water. My time in the Cape forced me to face the reality that water is a precious and scarce resource and it is about time we treat it that way. Who’s to say Bloem isn’t next in line? We’ve already experienced a week without water last November and it can happen again. Also, how terrible does our water taste at the moment? With all these revelations, I would like to recommend a few water-saving tips I picked up in Cape Town and I urge you to start using water sparingly, as if every day will be the last day you have access to water. Wait for a full load before running washing machines and dishwashers. The rinse water from some washing machines can be re-used for the next wash cycle. Put aside your convenience and get saving! 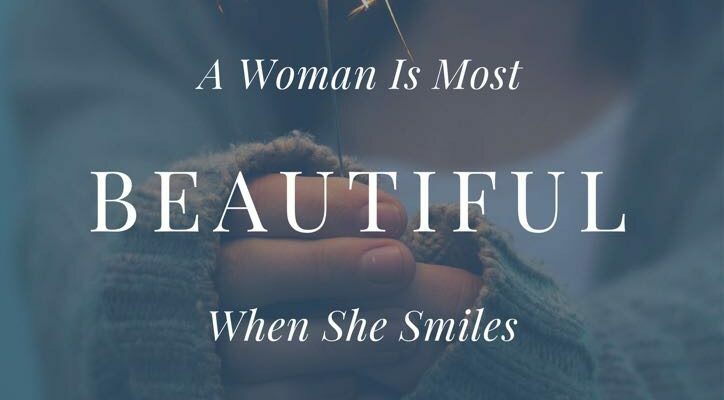 These methods are inexpensive and worth it in the long run. Masha and I wish you and your loved ones a twenty-great-teen and hope you’ve managed to tick a few items off of your resolutions list. Now would be a great time to add “save water” to the list. 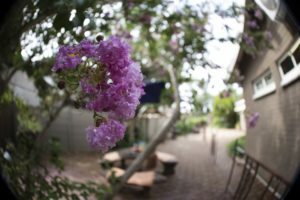 We look forward to sharing more Bloem adventures with you. This month Masha and I had the privilege of hanging out with Jasiu Lewtak, co-owner of award-winning Stellar Brewery, in the spirit of Oktoberfest. 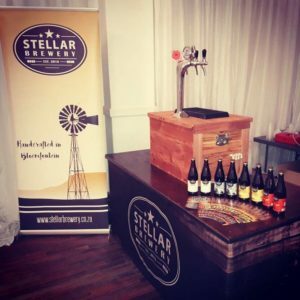 Stellar Brewery has been running for about a year and their delicious beers are handcrafted right here in Bloemfontein. We asked all the important questions; how Jasiu ended up in Bloemfontein, how the brewery came to be and where you can find their products. We even got a sneak peek into their future prospects. Here’s more about the man behind the beer, and the beer itself of course. When life in Warsaw, Poland became too comfortable for their liking, Jasiu and his wife decided that it would be a good time to pack their bags and move to “somewhere far”. They were in search of a city that was conservative and difficult to change. And that’s how they ended up in Bloemfontein. 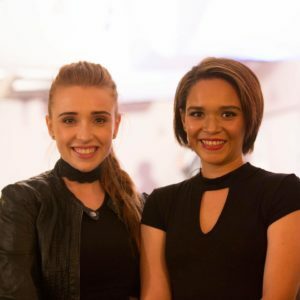 The couple identified the fact that things were brewing here and that there was an opportunity to make a valuable contribution to the Bloemfontein community – something they’ve succeeded in thus far! Whilst taking on his post-doctoral studies in Chemistry at the UFS, Jasiu took an interest in the intricacies of the beer brewing process. He took part in a few competitions where he won silver and gold medals for home-brewing. Once all his recipes were proven, he decided to go commercial. 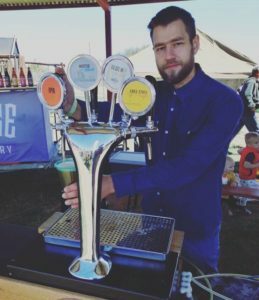 Jasiu and his business partners subsequently started up Stellar Brewery in 2016, with the main objective of influencing the craft scene in the Free State and South Africa. The name “Stellar” was derived from the idea that the galaxy features unlimited possibilities, just like their beer brewing business. The brewery sources locally as far as they can and they pride themselves in experimenting with and producing beers of superior quality. Their beers are designed so as to appreciate and enjoy the taste and flavours. My favourite has to be the Bloem Weiss; enjoyable it is! The team recently took part in a craft brewers’ competition in Cape Town where they won a SILVER medal for beer aged in oak. And get this… someone drove all the way from Johannesburg to Bloemfontein the other day with the sole purpose of buying all the available bottles of this particular beer. At retail price nogals. Naturally, Jasiu is facing cultural and language barriers which impact on business. On the bright side, he finds that the community is receptive, especially when they realise that he’s foreign. 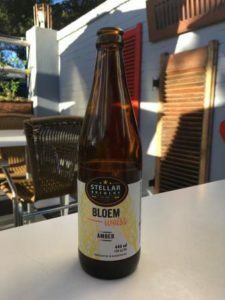 Stellar Brewery’s products are clearly in demand and they can only go onwards and upwards from here. Stellar Brewery has since launched their gin products at the Vryfees and they’ve been distilling whiskey and experimenting with British Styled rum. They’re looking to continue making an impact on the craft scene, expanding the business and brewing more obscure styles of beer for the connoisseurs. 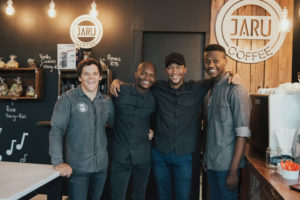 As a foreigner with an objective view of South Africa, Jasiu has an admirable amount of faith in the potential of our economy and he is certainly contributing. 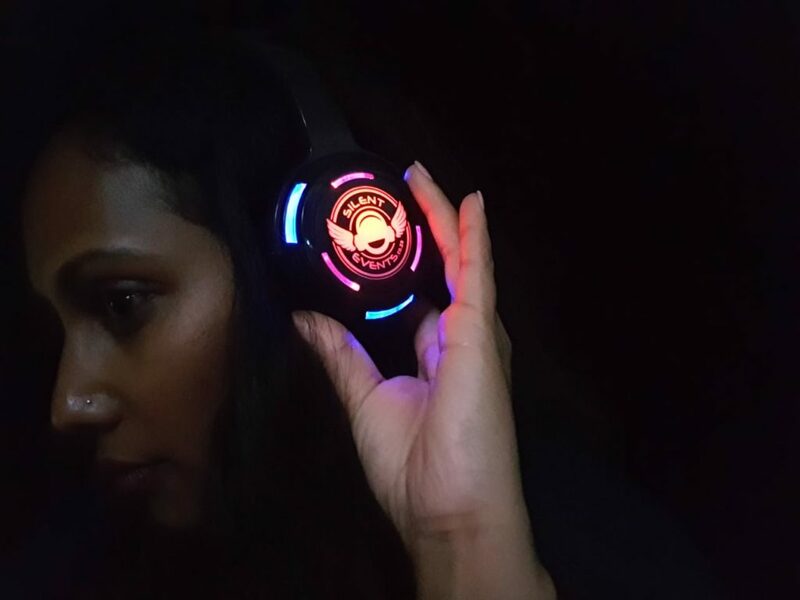 Now, for the most important bit of information: you can find Stellar Brewery products at local markets, Liquor City Preller & Bloemgate, Bella Casa and Galaxy Pub. They will be at the Statrup Grind event on the 25th of October. Also, they featured as one of three local breweries at this year’s 1st annual Beer Fest at Ramblers Club. Look out for next year’s edition. As a beer lover myself, I look forward to seeing this business making waves in the South African craft scene. Local is lekker, so be sure to support these guys. 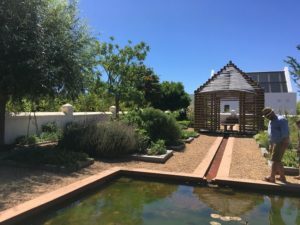 And if you are a foreigner considering moving to Bloemfontein, this story is testament to the fact that there most certainly is a space here for you. PS Bloemfontein has a beer club. Members come together over the weekend and are given brewing styles to experiment with. They figure out what works, what doesn’t, how to improve and who can help. There are over 100 styles to test and if something like “testing the activity of beta analyse depending on the PH of water” tickles your fancy, join the club. Pop Stellar Breweries an inbox on Facebook should you be interested in becoming a member. Give them a like while you’re at it! You know spring is here when you wake up to the chirping of birds and with an uncontrollable urge to clean out your closet. September, synonymous with spring, is a month of renewal, fertility and (for most of us) the turning over of a new leaf. With a fresh start comes new experiences, new people, new places, a new wardrobe and a new you. It is also the perfect time to reflect on where you come from, who you are and where you are now. What better time to reflect than on Heritage Day, the 24th of September? Heritage Day is so much more than “National Braai Day”. It is a day set aside in recognition and celebration of the diverse cultural heritages of all South Africans. And South Africa is a true melting pot of heritages. Our heritage forms part of our identity. The importance of diversity and recognizing and respecting our differences in culture, beliefs and traditions cannot be stressed enough. Imagine how dull life would be if we were all the same? I cannot. Furthermore, we need to recognize one another’s differences in order to enable us to be empathetic towards one another. And we must respect one another’s differences so that we can (continue) to live in beautifully diverse harmony. What does your heritage mean to you? My maternal grandparents were Portuguese immigrants from Madeira. They took so much pride in being Portuguese and instilled that sense of pride and carrying forth of traditions in their children and grandchildren. I could listen to stories of their past for hours on end and took a great interest in their ways of life in general. So much of Madeira lived in their homes and in their hearts, and it continues to live in my home and heart too. Madeira is known for its Bailinho da Madeira (a traditional dance with the accompanying song), beautiful flowers, and elaborate firework shows over New Year’s. Don’t get me started on the food and drink…: Bolo de Mel (honey cake), custard tarts,espada, espetada, poncha, Brisa. My mouth is literally watering right now. On Heritage Day my family tries to get together for lunch. On the menu will usually be espetada, boiled potatoes and a salad. My uncle Joao makes the most delicious poncha; strong and sweet just how I like it. There will be the occasional playing of Portuguese music but we don’t dress up and perform the Bailinho… We leave that to the experts on the Portuguese channel RTP.